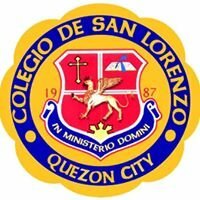 Colegio de San Lorenzo (also called "CDSL" or "San Lo") is a private Catholic educational institution in the Philippines located in Congressional Avenue, Barangay Bahay Toro, Quezon City and in Macabebe, Pampanga. 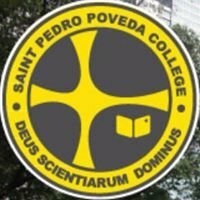 Colegio de San Lorenzo is a Catholic educational institution run by lay educators, committed to the total formation of the Filipino youth, and dedicated to the first Filipino saint, San Lorenzo Ruiz de Manila. 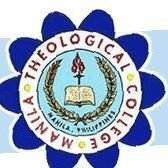 Colegio de San Lorenzo is a learning community, dedicated to liberal education, Catholic, involved in the life and growth of the Filipino, and committed to the service of the contemporary world. CDSL believes that her commitment to the pursuit of knowledge, professional skills, social awareness and concern, Catholic and liberal education, and total formation is realized through its different academic and non-academic programs. Colegio de San Lorenzo's motto, In Ministerio Domini literally means, "In the Service of the Lord." It is our declaration of faith in God and dedicated service to others through education, especially to the Filipino youth, CDSL sees education not merely as a noble human activity for self-fulfillment, but also as a spiritual calling or vocation to bring the youth closer to God.